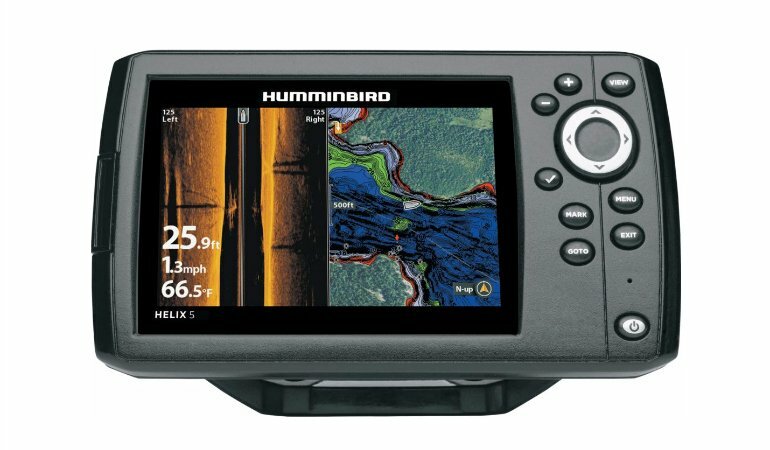 Have you been dying to get a fish finder with MEGA imaging, but your budget wouldn’t allow it? With the release of the Helix 7 G3N series, you can now experience the ultra sharp MEGA Imaging in an affordable 7-inch unit. This is great news for anglers! The units look very similar to past series of Helix 7, but there are a bunch of other new features and upgrades to look forward to in the G3N units. 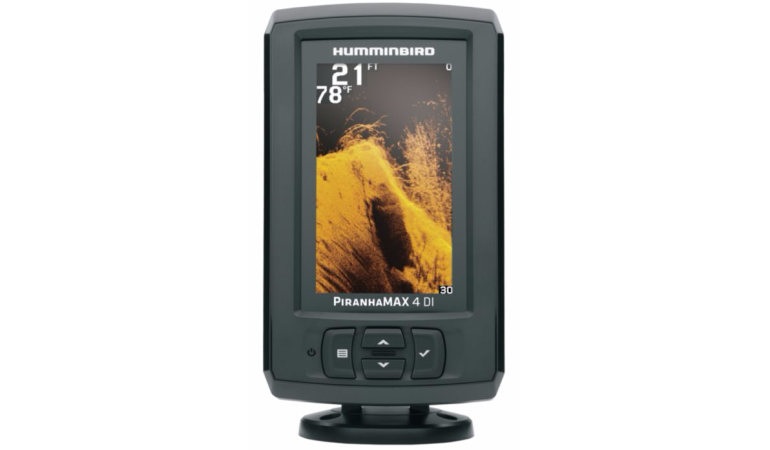 Read on to find out what these little powerhouse fish finders are capable of. Let’s run down the list of new features and capabilities you should know about. MEGA Side Imaging (New) – The power and imaging detail of MEGA Side Imaging has been moved down into the Helix 7. MEGA should get you at least 100 ft of coverage on both sides of the boat. The transducer is a lot smaller than the MEGA+ so they must have found a way to get MEGA type performance in a smaller, cheaper package. This is a pretty huge deal and will predict that the MEGA SI model will be a big seller. MEGA Down Imaging (New) – A MEGA DI unit is also now available in the G3/G3N series. The dedicated MEGA DI transducer provides clearer images of structure and enhanced separation of fish. It looks identical to last years MEGA DI transducer which is a good thing. Dual Spectrum CHIRP Sonar (New) – Introduced last year in the larger Helix G2N units, the Dual Spectrum CHIRP sonar is being pushed out into every single new Helix unit, including the Helix 7. These elements are “low q”, which is a fancy way of saying it is “true CHIRP” with a wide resonant frequency band. Simply put, this means much better fish arches, better target separation, and an overall more pleasing 2D sonar experience. 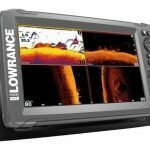 SwitchFire Sonar – Even though 80/200 kHz may be gone, SwitchFire sonar remains. 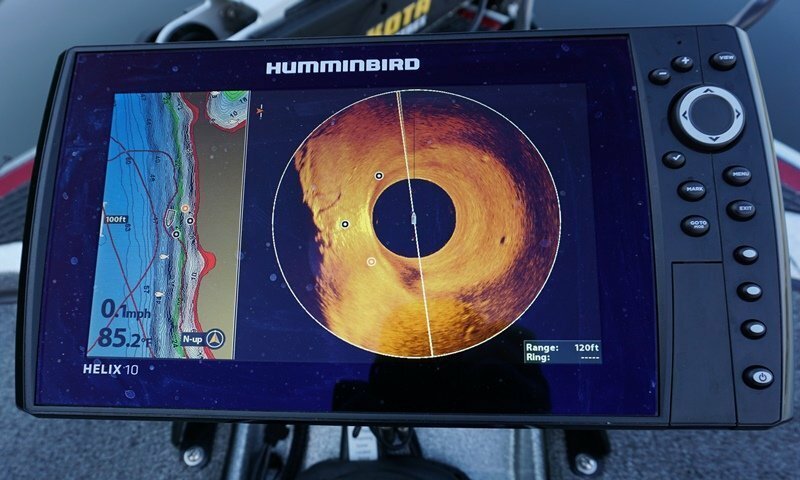 These settings control the way your sonar looks on screen, to boost sonar returns when water conditions call for it. Bluetooth – Built-in Bluetooth provides pairing capabilities to your smartphone. Get text message popups, control the unit with the RC2 remote, or update your unit wirelessly with the FishSmart app. Ethernet Networking – Sharing sonar and waypoints is a beautiful thing. Any model with the “G3N” designation have an ethernet port on the back of the unit. You need to buy dongle cables AS EC QDE for each unit you want to connect, and a 5 port ethernet switch AS ETH 5PXG for networking more than two units. 360 Imaging Compatible – The G3N units are capable of displaying 360 imaging data as an ethernet accessory. 360 is a secret weapon of many pro anglers. AutoChart Live – AutoChart Live lets you self map uncharted waters. 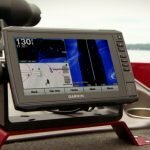 As you drive your boat, the depth lines are drawn onto your screen, showing you important depth changes, structure, bottom hardness, and vegetation overlays that could be good fishing spots. There is storage on the unit for 8 hours of recordings, and much more when you use an AutoChart Zero Lines card or to AutoChart LiveShare. 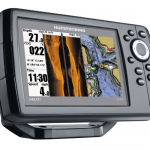 LakeMaster/LakeMaster PLUS Compatible – These are your standard type of mapping cards for all Humminbird units. PLUS cards simply display satellite imagery and aerial photos of the land surrounding the bodies of water. SmartStrike – HELIX 7 G3 and G3N models are all compatible with SmartStrike mapping cards. These cards are just like the regular regional LakeMaster mapping cards, except they have the additional SmartStrike data. With the card and the unit, it can highlight your map with possible fishing areas based on what you input into the menus. XNT 9 HW MSI 150 T – If you ever hear the phrase “Compact MEGA” transducer, this is the transducer. 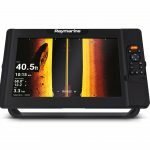 It features imaging frequencies of 455 kHz (440-500 kHz), MEGA DI (1075-1150 kHz), MEGA SI (1075-1150 kHz), and a CHIRP sonar range of 150-220 kHz (Full), 180-240 kHz (Narrow), 140-200 kHz (Wide). XNT 9 HW MDI 75 T – This transducer looks just like all the other past DI transducers, but with the new MEGA and HW crystals for sonar. Imaging frequencies are 440-500 kHz, 1075-1150 kHz (MEGA DI), and the same CHIRP sonar as the SI model. XTM 9 HW MSI 150 T – This is the equivalent to the XNT 9 HW MSI 150 T but with a special shape for mounting to trolling motors. XTM 9 HW MDI 75 T – This is the equivalent to the XNT 9 HW MDI 75 T but with a special shape for mounting to trolling motors. XNT 9 HW T – This is your standard 2D sonar transom mount transducer. XP 9 HW – Select this transducer if you want to mount it in-hull for higher speed 2D readings. You will need the Y cable to split off the Imaging and the 2D signals. Should You Buy a HELIX 7 G3N? 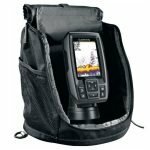 MEGA Imaging – If you looked at the amazing images being produced on the larger MEGA models but couldn’t afford the cost, the G3N is not an extremely attractive option. No other brands are capable of MHz imaging at such an affordable level. 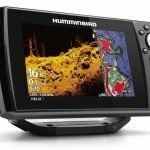 “Real CHIRP” – Humminbird and Garmin now run “real CHIRP” Low Q transducers, while Lowrance is still “fake CHIRPing” their 2D sonar. 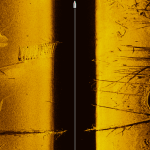 The Dual Spectrum Sonar on the HELIX 7 looks much improved over the traditional 83/200 kHz sonar images. Networking and Non-Networking – Don’t pay for features you won’t use. Helix 7 G3 cuts out the ethernet and you save a nice chunk of cash. 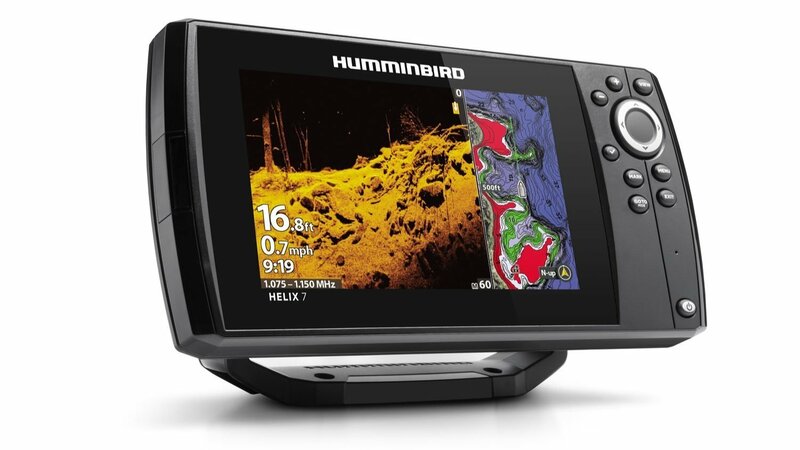 Awesome Kayak Fish Finder – Tthe HELIX 7 G3 are seriously great options for kayak anglers because they have GPS mapping, true CHIRP sonar, and now MEGA Imaging. 7-inch units may seem a little big for a fishing kayak but rarely is there regret when getting a bigger screen. Only 1 MicroSD Slot – If you like to take screenshots and use maps, you’ll be changing cards frequently. Most smaller fish finders are being built this way, so it’s more of a heads up than a drawback. Bottom Line: The Helix 7 G3N presents MEGA Imaging and a low Q CHIRP 2D at a very affordable price, both of which are significant upgrades. If cost was always holding you back, now is your opportunity to get MEGA onto your boat!